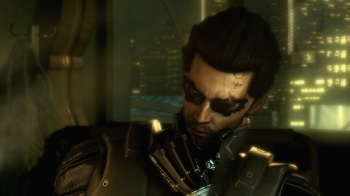 Square Enix isn't backing down in its legal actions to track down the guys who leaked Deux Ex: Human Revolution. Square Enix has been pretty relentless in its pursuit of the folks responsible for the leak of Deus Ex: Human Revolution. First there was the lawsuit that went after the anonymous individuals who mis-used an Italian journalist's credentials to score (and then release) the game. Now, the publisher is legally demanding Valve to help track the guys down. Apparently the press preview of the game was available via Steam, and one of the approved publications to check it out was Italian magazine Giochi per il Mio Computer ("GMC"). When a torrent file of the game appeared on the Web, "anomalies in the code" made it clear that the leaked copy was the version GMC had access to. Valve was able to discover that the computer used to download the game code didn't match the machine used by the authorized GMC writer. So it turns out that Square Enix is doing just that. The company is asking for legal permission to subpoena the information from Valve. Basically, Valve's info will allow Square Enix to progress in the legal proceedings. If Square Enix gets the permission it's seeking, it'll be interesting to see how the lawsuit winds up working out. It seems safe to assume that at least one Steam user is sweating a lot of bullets right now.